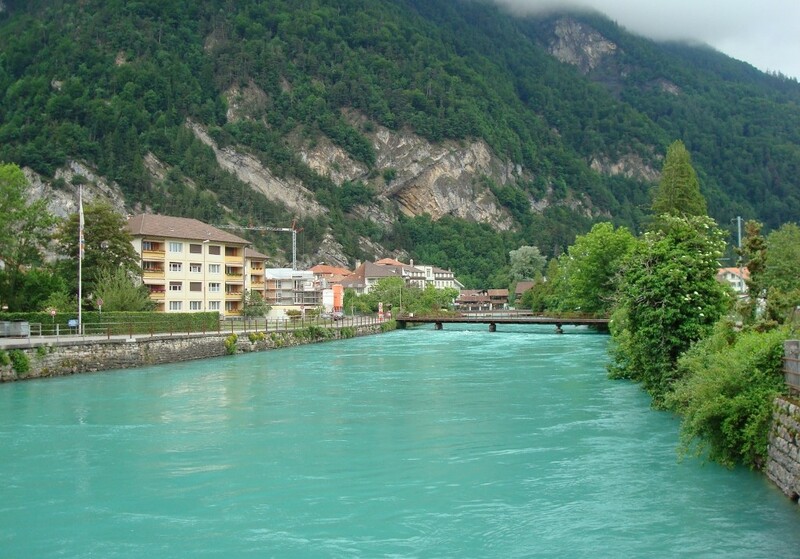 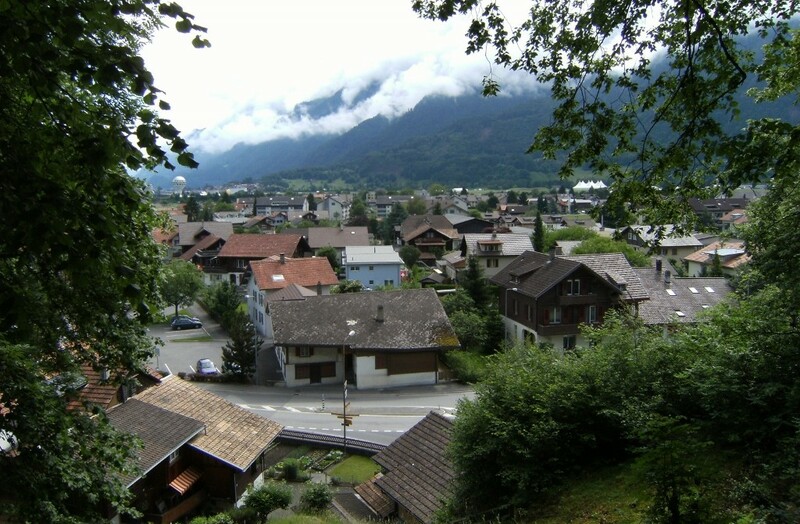 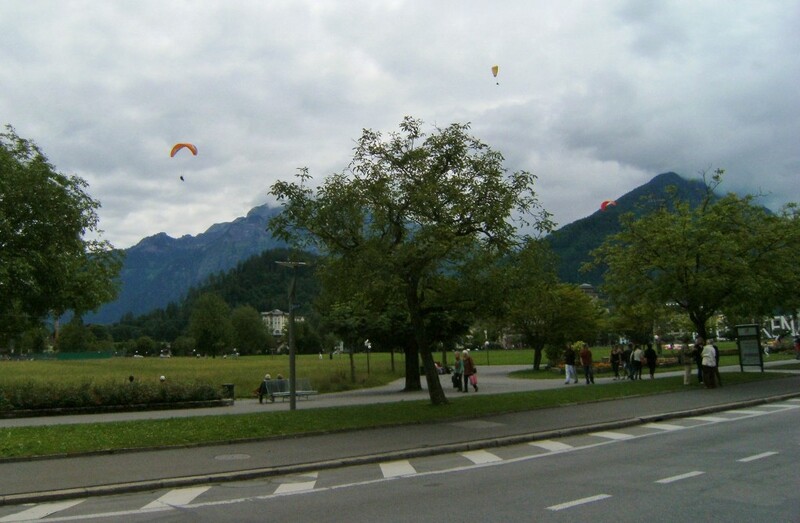 Interlaken is a town between two lakes, Lake Thun and Lake Brienz, with the Aare river running between them. 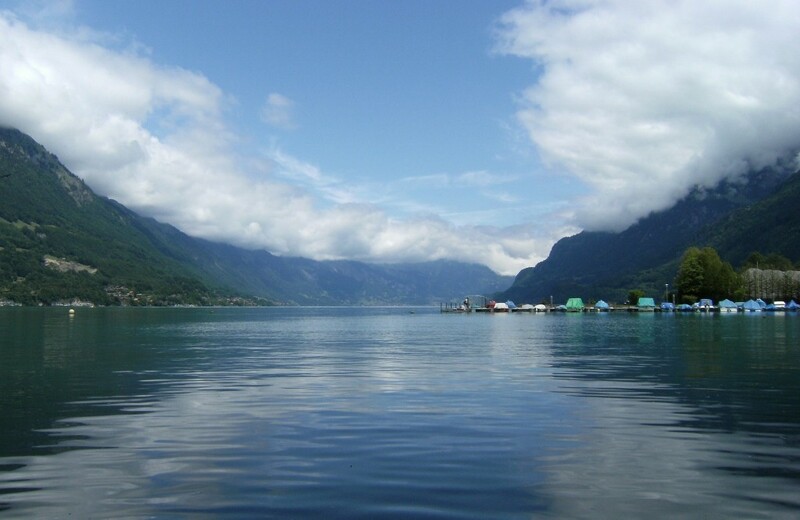 The river that connects the two lakes. 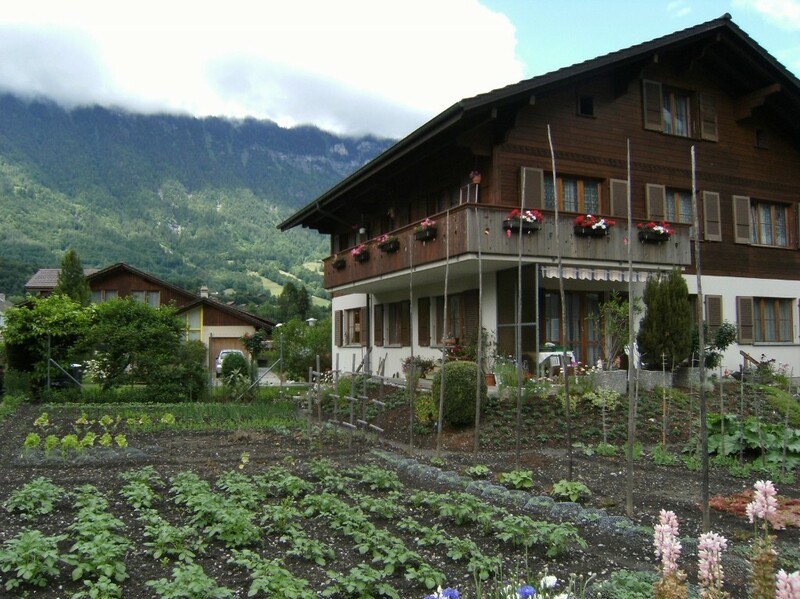 Typical wood house in Interlaken. 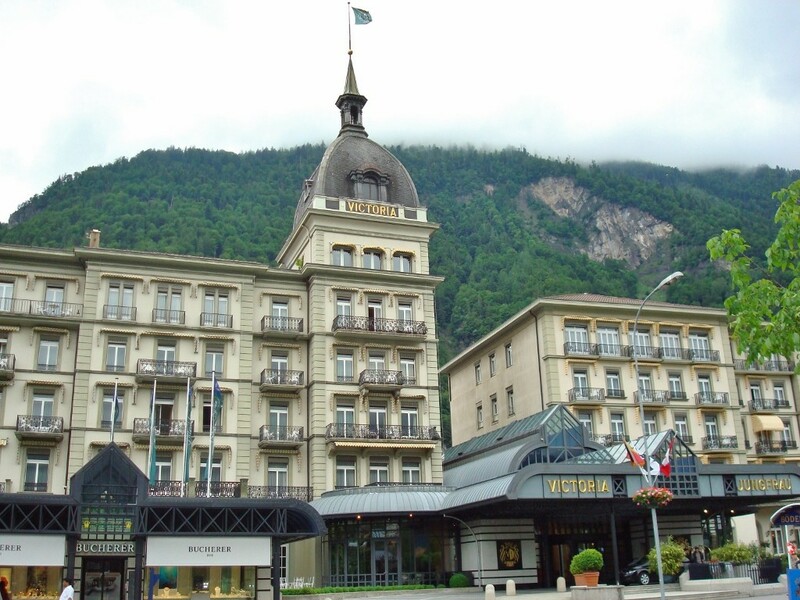 The fancy, 5 star hotel in Interlaken. 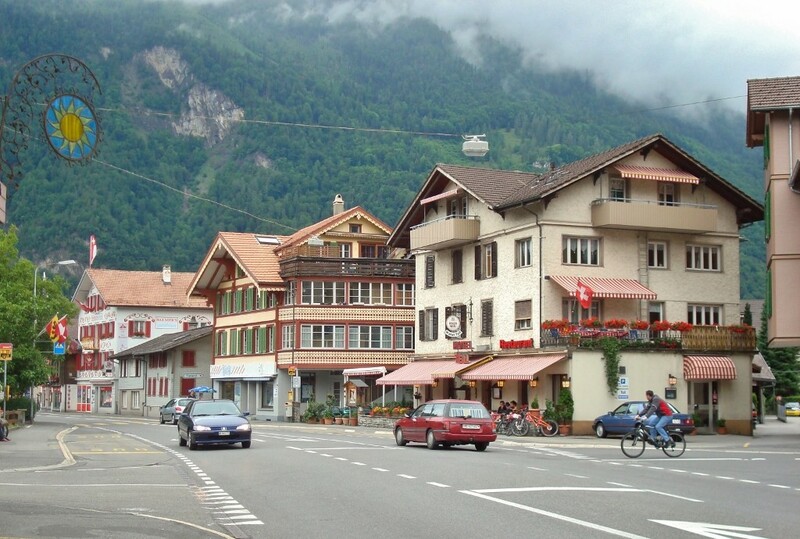 Jungfrau is one of the highest mountain peaks in the nearby Alps.